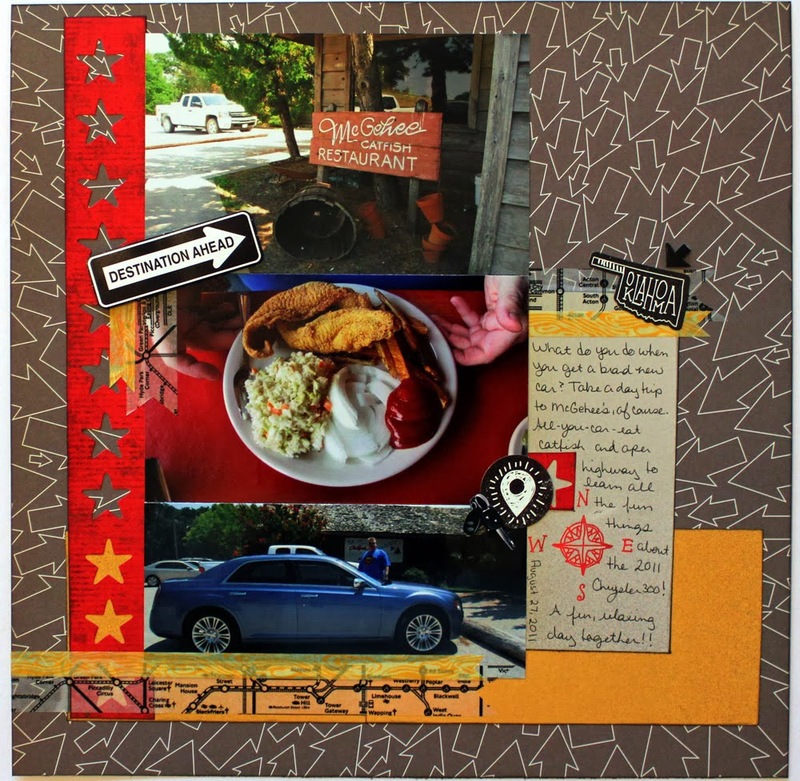 I know many of you are familiar with Debbie Hodge and the Get It Scrapped website where there's tons of scrapbooking inspiration and classes and the Masterful Scrapbook Design series. But did you know that Debbie has launched a new podcast? There are already four episodes of the Give Your Photos Stories podcast. I was honored to be a guest on the most recent episode on the topic of Big Storm. I hope you'll pop over there and listen in to our stories about tornadoes and hurricanes and blizzards and power outages and evacuations. Here's a look at some of the layouts I mentioned in the podcast. Do you have any stories about Big Storms? 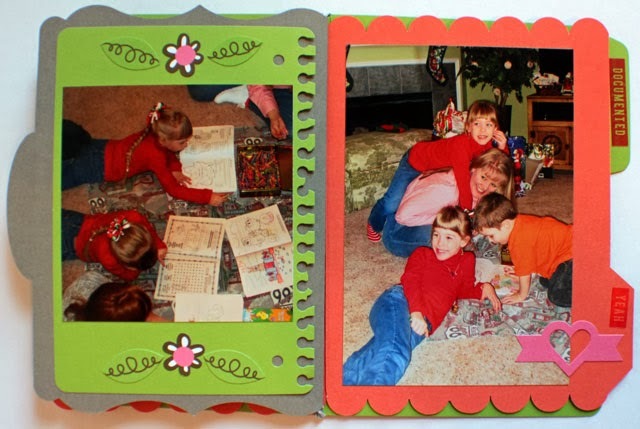 Have you scrapbooked those stories? This year I planned to read the Pulitzer Prize winners in fiction, beginning with the first winner in 1948 (when the novel category was renamed fiction). We happened to have a copy of that book in our personal library. I believe I purchased it at a used book store after we saw the theater production of South Pacific several years ago (which I scrapbooked here), but I never took time to read the book. I did not know that Tales of the South Pacific was a series of short stories rather than a novel. The stories are somewhat related as they all occur during World War II in the South Pacific Islands and several of the characters show up in various chapters. However, it was hard to get invested and interested in the characters and to remember much about them when they showed up in a later story. The stories were all told from the perspective of one narrator who is mostly an observer in each story. In fact, the narrator doesn't really do much during the war, he wasn't even actively involved in the one battle that he describes. Overall I enjoyed the book but think I would have preferred one coherent story. The stories are entertaining, but in all honesty the book portrays that most of the soldiers and sailors and marines spent an awful lot of time goofing off, playing practical jokes, buying things from the natives, stealing military items to trade, carousing with the females on the islands (natives and a few nurses), drinking, and waiting. Several battle and military campaigns are mentioned in various stories, and one chapter near the end of the book chronicles an actual battle. I read a little about the author, James A. Michener and learned that he had actually served in the South Pacific during the war. I wonder if he spent a lot of time goofing off, drinking, and waiting? After completing this book, I've discovered a problem with my goal to read the Pulitzer Prize winners. My original plan was to read them in order, thus the 1949 winner, Guard of Honor, would be next on my list. However, it's not available at our local public library. There are some copies of it available through Amazon, but I like to save up a list of books and/or movies before we place an order, so it may be a little while before I get to it. So, I've changed my plan and will simply not read them in order! I checked our personal library and discovered we own two other winners, which I'll read next. Then I'll see what our local public library has in as I'm ready for a new book. Have you read Tales of the South Pacific? Seen the movie? Or the theater production? In the post about my laundry room decluttering, I mentioned that I had donated 100+ cookie cutters and that I would share a FUNny story about those cookie cutters with y'all. Well, here's the story . . .
On the top shelf, I had this container that was filled with cookie cutters. Did you notice the writing on the top of the container? 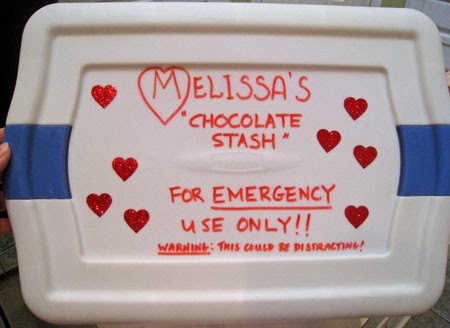 It actually has nothing to do with cookie cutters, but this is a very special container. When Robbie and I were dating, I often joked that I was distracted by chocolate as it is my favorite type of sweet. 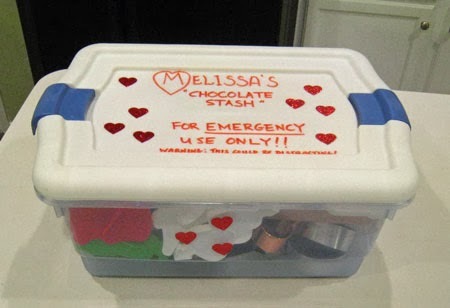 One weekend that Robbie came to visit, he brought me this container filled with chocolate! Of course, those were the days when I could still eat whatever I wanted and not put on weight! Now that my body has aged a little and I've gained a considerable amount of weight, there's no way I can keep that much chocolate in the house . . . because it would be way too tempting. So, I re-purposed the container to hold our cookie cutter collection. In my quest to declutter, I took all the cookie cutters out and sorted several into the donation pile. Then I stored that FUN container back on the shelf in the laundry room. (Now, that story about the container was just a bonus). Here's the FUNny story. Later that same day, I was putting away a dish in an infrequently used kitchen cabinet and was surprised and amused to find another container of cookie cutters! Seriously!! So, once again I took out all the cookie cutters, sorted and ended up with those 100+ in the donation pile. I still have my special container filled with my favorite cookie cutters. 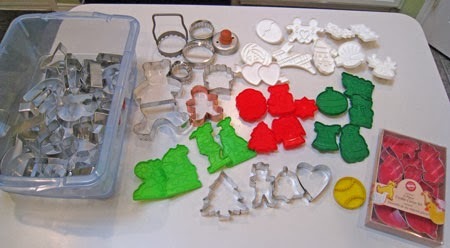 I've decided that one of my FUN activities in February will be to bake some cookies and use some of these FUN cutters. How do you store your cookie cutters? Do you know where they ALL are? 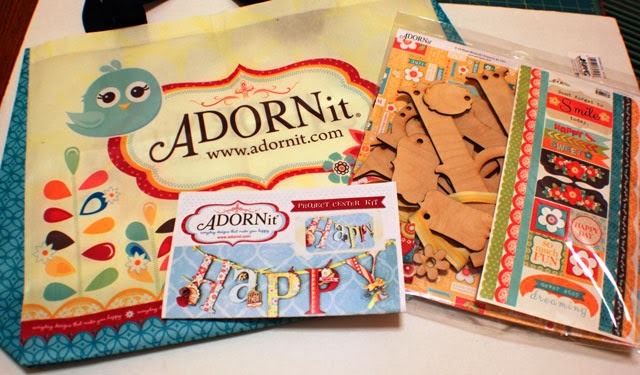 The founder of ADORNit, Carolee McMullin, and two of her daughters shared about their company and its products. 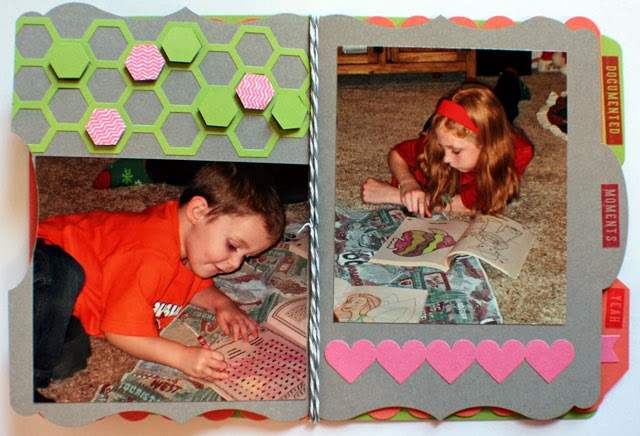 They have coordinating scrapbook papers and fabrics, wooden pieces, and even clothing and accessories. They gave each participant a cute tote bag and fabulous kit with the supplies to make a HAPPY banner. 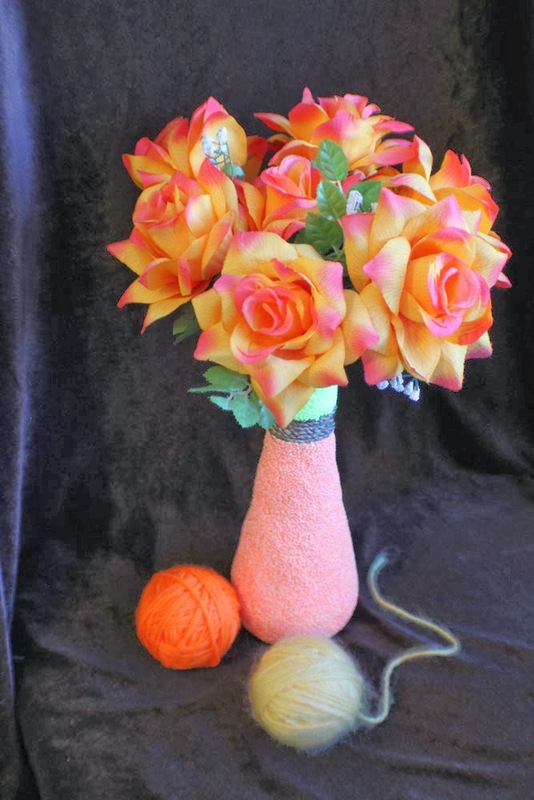 I put this kit with my Project Files and hope to make it soon - it will look great hanging from the mantle in our living room! I don't think there was a representative from We R Memory Keepers at the event, but they provided the chalkboard Alums Made Easy kit for us. 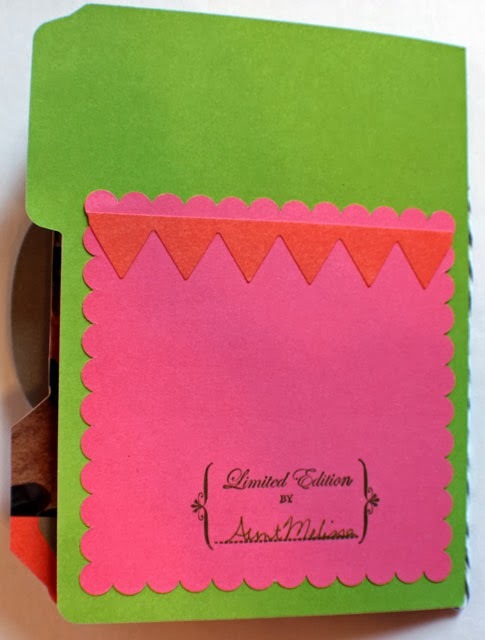 There are 275 cards in this package!! 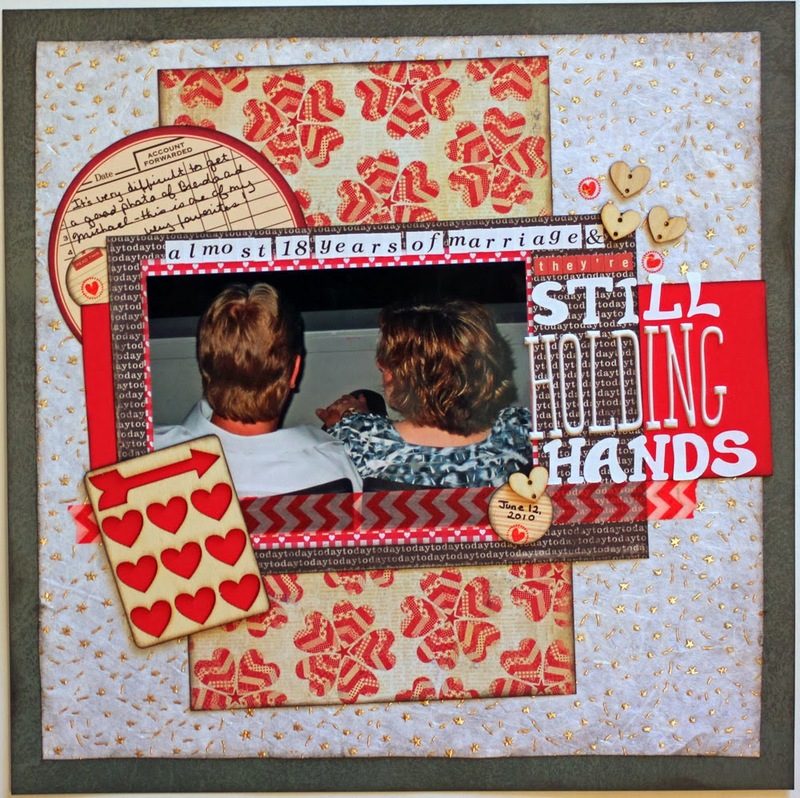 April Foster was there for Studio Calico and we received their December kit. 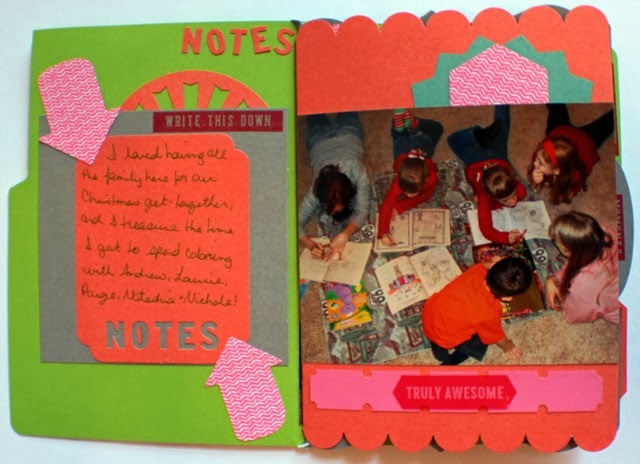 Check out these papers and embellishments and stamp set. 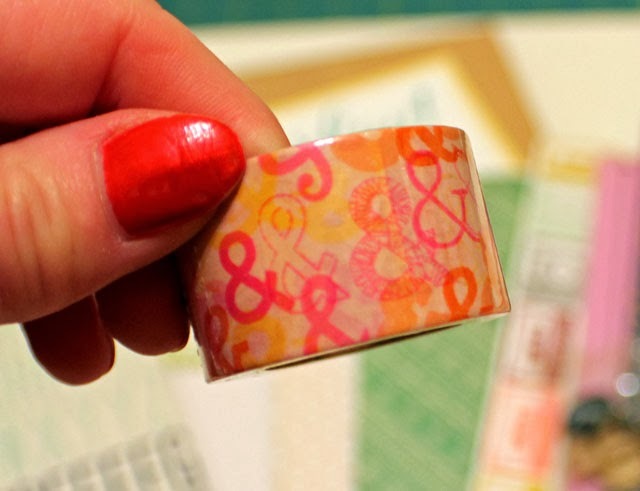 My favorite part of this kit is the roll of washi tape (of course!). After I spread all this goodness out to photograph for y'all, I just couldn't resist creating a layout. I found some photos to go with the dark blue star patterned paper, however I had quite a few photos and wanted to create a two page layout. So, I used the blue cardstock and the star overlay that came in the kit for the background of my second page. 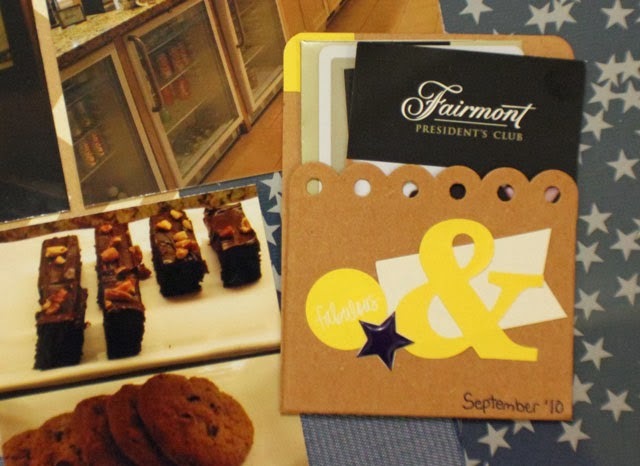 I added in one of the Simple Stories pockets to hold the hotel business card, room key and other memorabilia. 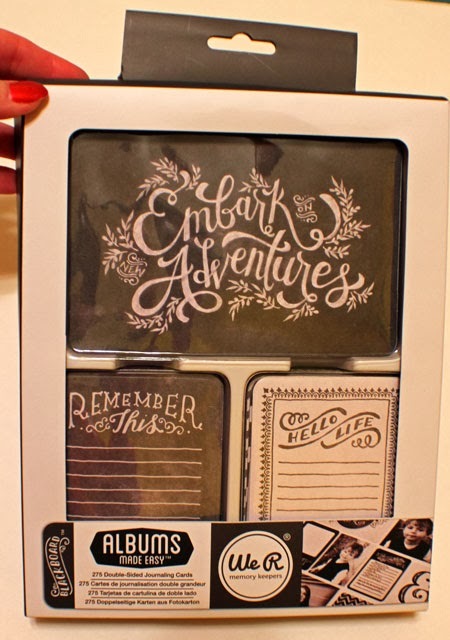 I pulled another pocket from my stash, added some of the Simple Stories stickers and a wood heart, and used it for my journaling. 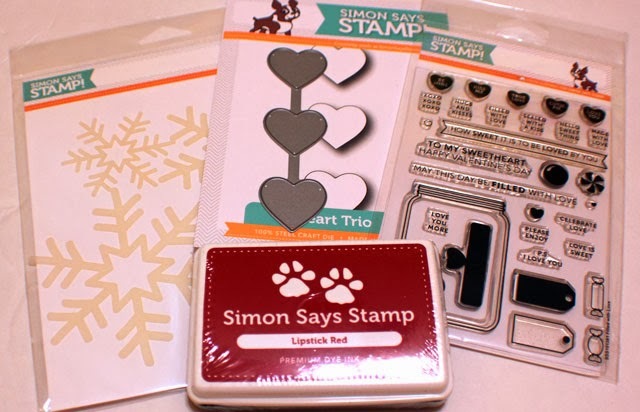 And finally, May Flaum represented Simon Says Stamps and we each received a stamp set, a stencil, a die, and an ink pad. 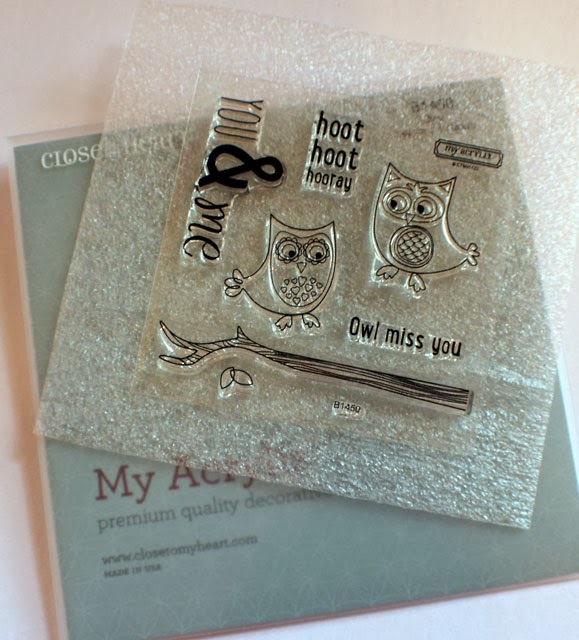 I'm looking forward to using these stamps and the stencil and the ink, however I do not have a die cutting machine that the heart trio steel craft die will work with . . . so, I'm offering it as a giveaway to one of you. If you'd like a chance to win this really cute die, please let me know in the comments. Now you've seen all the manufacturer's products that we received at the Product Playground and Playtime. 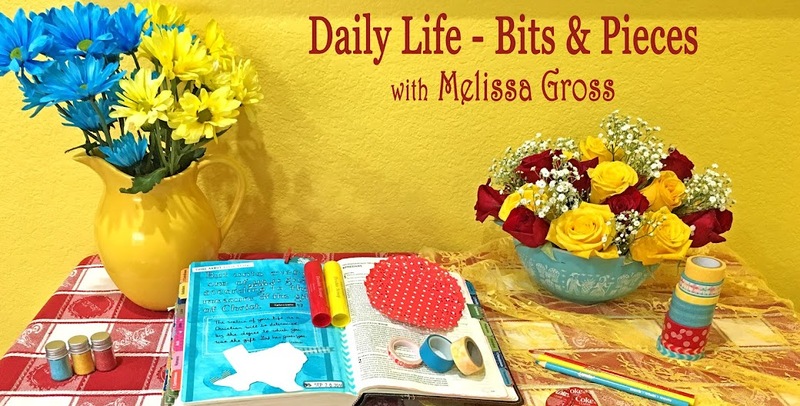 Over the next couple of weeks, I'll be working through my notes, supplies, and projects from the seven event classes and creating layouts and trying new techniques and using more fun products! I hope you're finding some time to craft this week. Don't forget to mention in the comments if you're interested in winning the heart trio steel craft die - I'll choose a winner from all comments submitted by this Sunday (February 2). I mentioned in my final post for 2013 that I was planning to deep clean, declutter, organize and (in some cases) redecorate each room/space in our home. I made a list of each area (because I like to check things off) and came up with 26 rooms/spaces/areas to work on. My goal is to work through them all by June 30. 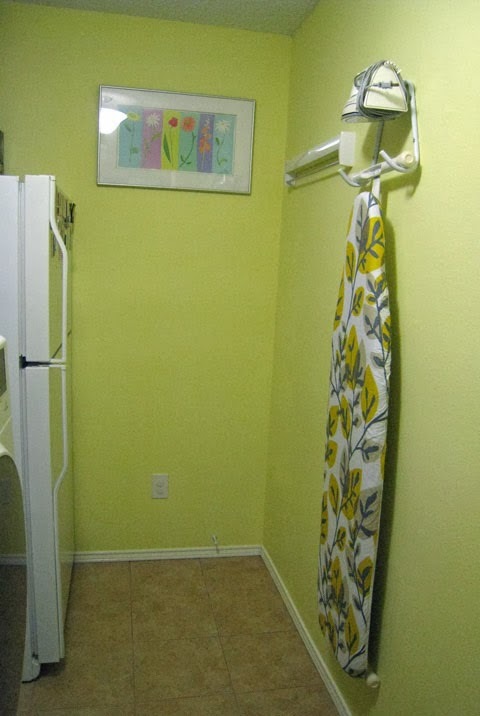 I decided to start with the laundry room because I knew it would be the easiest. :>) Some of you will recall that we completely remodeled the laundry room two years ago, so it was clean and organized and decluttered at that time. The room is only 5 1/2' x 10', so I figured it would be a quick job. DEEP CLEANING: This room stays fairly clean, but it was time for some deep cleaning, so I started at the ceiling (took the vent cover off & cleaned it, took the light globe off & cleaned it, etc) and worked my way down to the floor (wiping down all the baseboards and vacuuming behind the appliances). Our extra refrigerator is in this room. It's getting old now and needs to be defrosted a couple of times a year because the drain pipe freezes up and water from the freezer goes into the refrigerator part instead of down into the drip pan underneath. It takes some work to empty it out and get it all cleaned and working properly again, but it's a labor of love for me because this is a special refrigerator. DECLUTTERING: What really surprised me was how much I was able to declutter from this room - items that I put on the shelves two years ago and we haven't used since. Here's a look at the bags I took to donate at our local community outreach center. 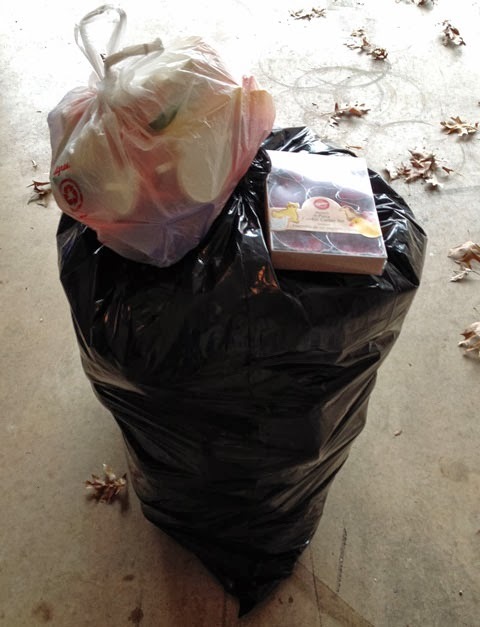 I also threw away or recycled quite a few shopping bags and moved some of the cleaning rags out to the garage. ORGANIZING: Once I removed the unused items, I was able to reorganize the shelves and drawers and bins so everything is once again easy to get to. There's even some extra space on the top shelf now! 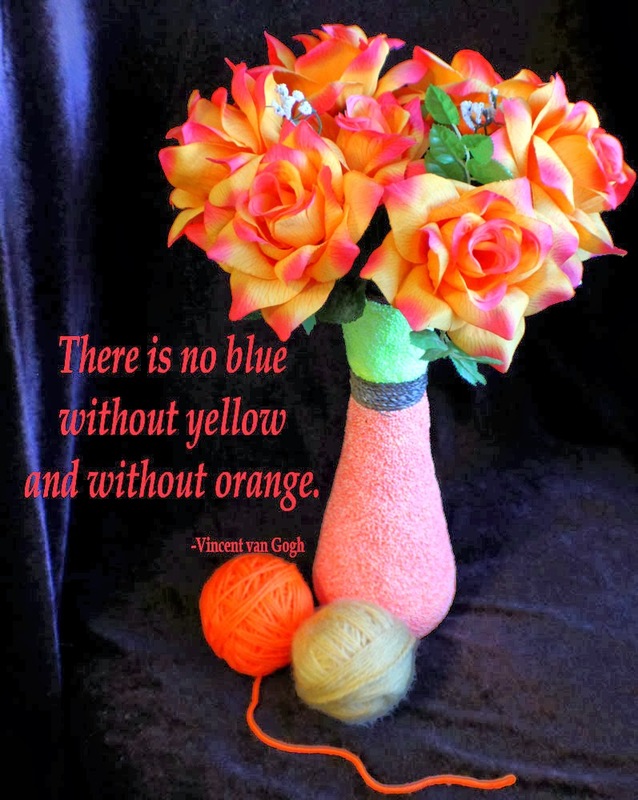 REDECORATING: There were two things I didn't do during the remodel that I had wanted to do. 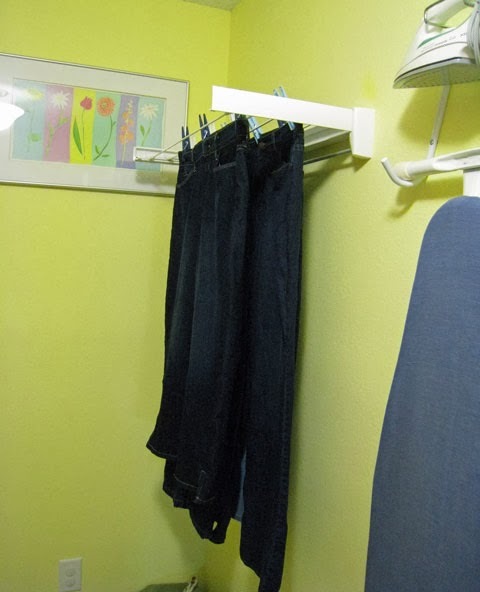 The first was to add a clothes drying rack in the room. 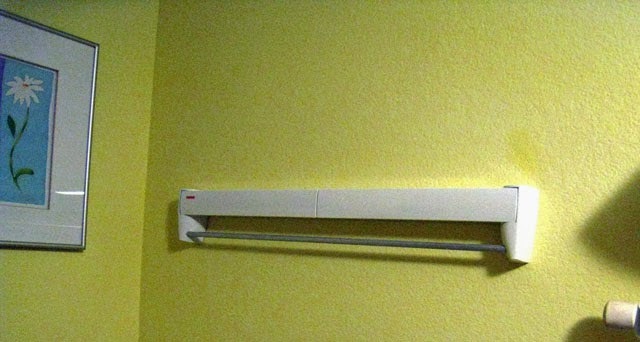 For years I've been putting a temporary hook over the door to hang clothes that need to dry. While this works perfectly, there's no way to shut the door all the way (and the clothes are hanging on the outside of the door anyway), so it's hard to hide the laundry if company comes by unexpectedly on laundry day! I found the perfect solution at the Container Store. This rack will hold quite a few items, but the best thing is that it all folds up when not in use. Did you notice the blue ironing board cover in that first photo? That was the second thing I wanted to change. We found a new cover at Target that matches the room much better. Wow, I'm glad I started with this small room so I could get one item checked off my list. I think I'll work on the smallest closet next. 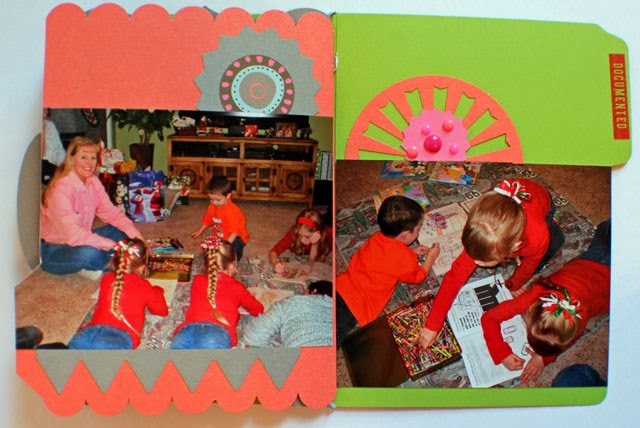 Do you have any plans to declutter or deep clean or organize or redecorate this year? 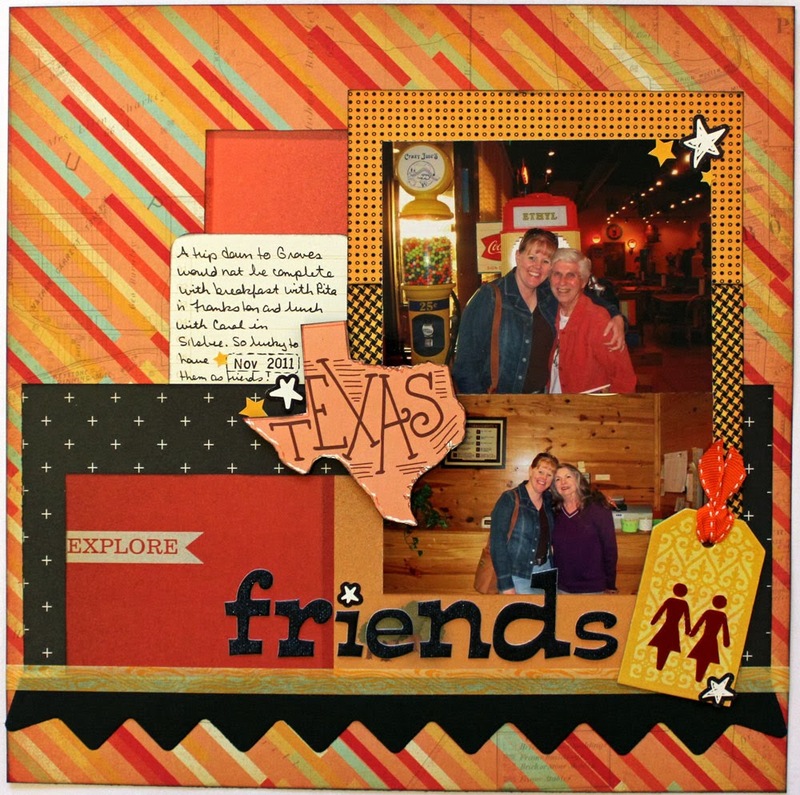 My January Design Team assignment for Scrappin' Goodtime was to create projects using products from Studio Calico's Thataway line. I received 8 double-sided papers, a package of stickers, and a package of wood pieces. 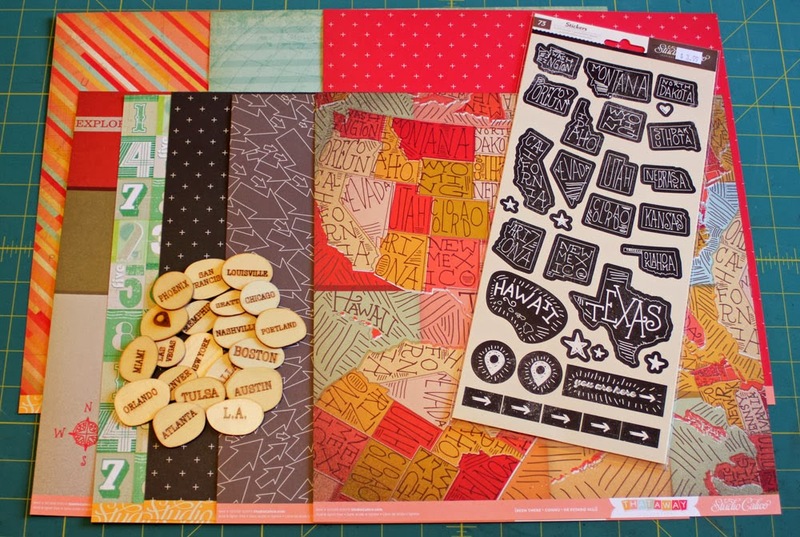 This is a travel themed line: one of the papers is a map of the United States, the stickers are individual states, and the wood veneers have the names of major US cities. 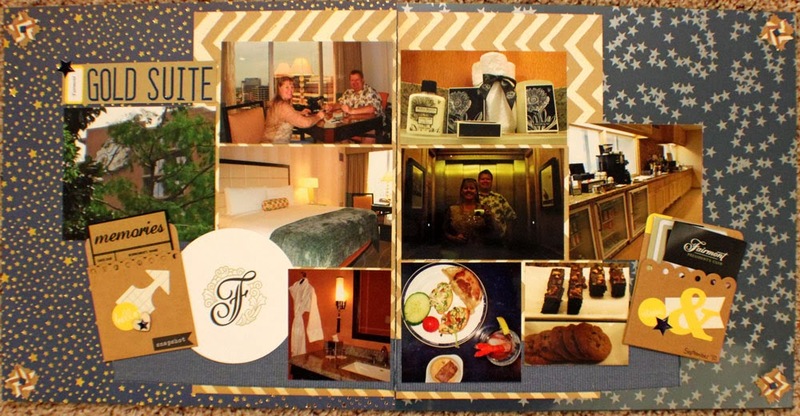 I started by creating two travel layouts, adding in a few items from my stash to go along with the kit papers. This first one documents the day trip we took to Oklahoma the day after we purchased Robbie's new car back in 2011. 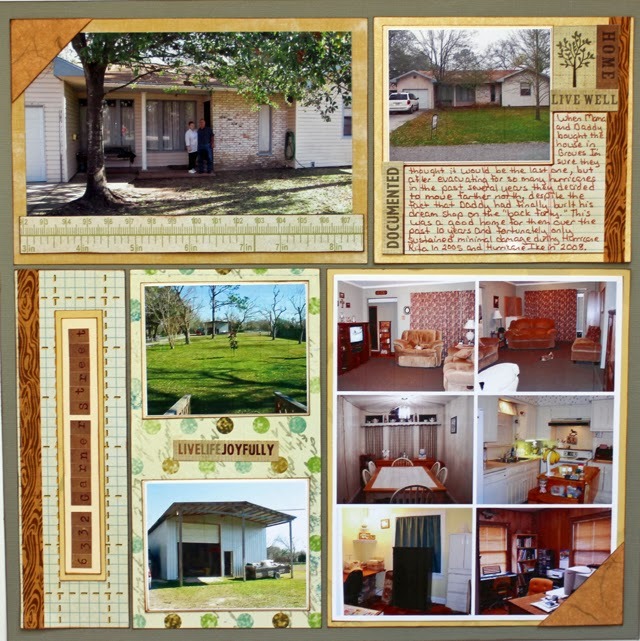 The second layout honors two dear friends that I stop to visit on my way down to my sister's house. I try to have a late breakfast with one and a late lunch with the other, which often leaves me arriving later than I thought but full of good memories with these dear ladies. 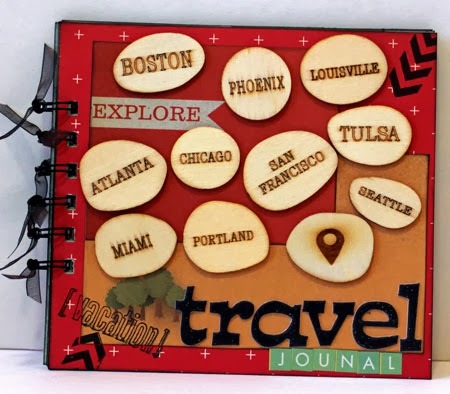 With some of the remaining papers and wood pieces, I created a travel journal that I bound with my Bind-It-All. I believe this line was introduced at last summer's CHA show. Have you used any of these products? What did you create with them? Close To My Heart was one of the main sponsors of the Play!event, and I spent some time this week playing with the products I brought home. First, as part of the manufacturer's Product Playground, we received a card kit with instructions to create a really cute card. 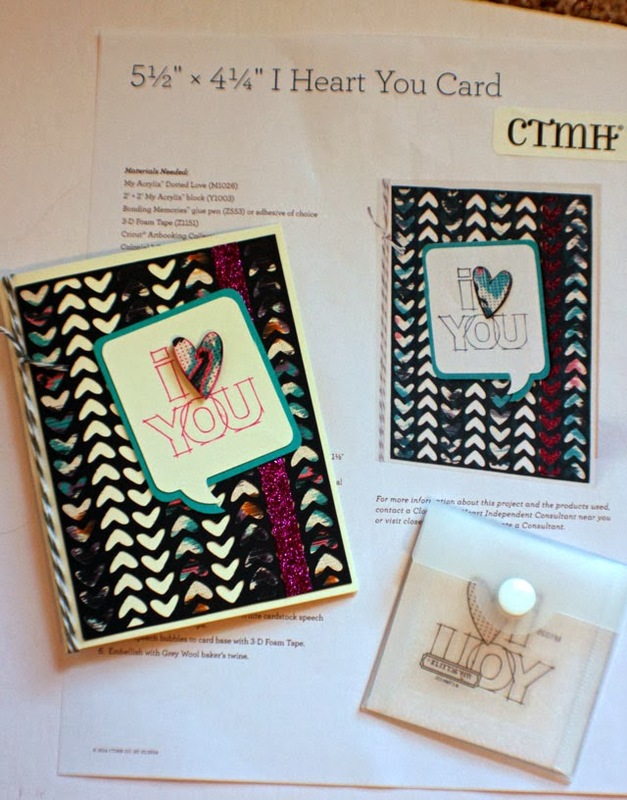 We received a wonderful acrylic "I Love You" stamp in the kit, too. I was busy having my flip book made during that presentation, so I created my card after I got home. My favorite part of this card is a new stamping technique. 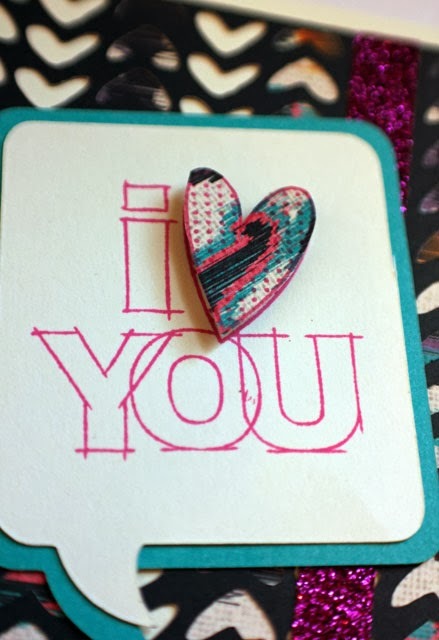 I stamped the sentiment on the cardstock, then I stamped it again on a piece of patterned paper and trimmed out the heart. 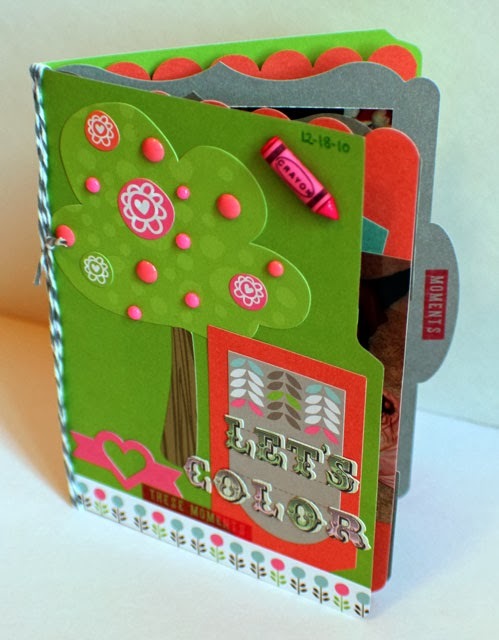 I used pop dots to add the stamped patterned paper heart over the original stamp. This is definitely something I'll be doing again. At the Product Playground, we also received this stamp set. 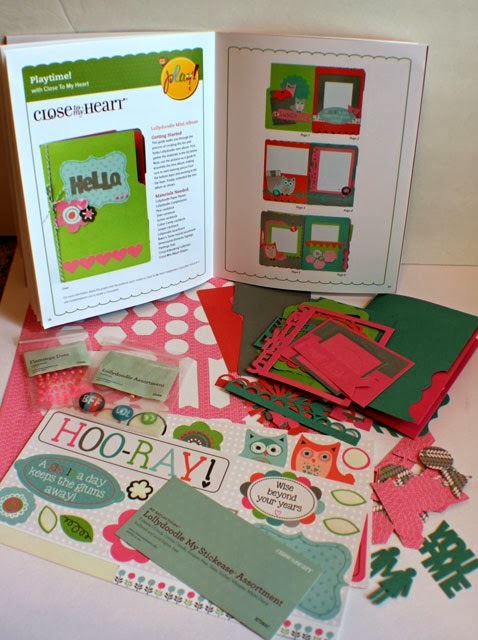 The following evening, during the evening Playtime, we received a mini-album kit using the new Cricut Artbooking Collection. Once again, I didn't create my album at the event (because I was busy visiting with my new friends, telling the "Stacy your camera's still on" story, eating chocolate, and having FUN). I rarely make something that I don't already have photos that I know will go with it, so the first thing I did at home was spread out all the items in the kit - papers, die-cuts, stickers, dots, etc. and flip through my photos. 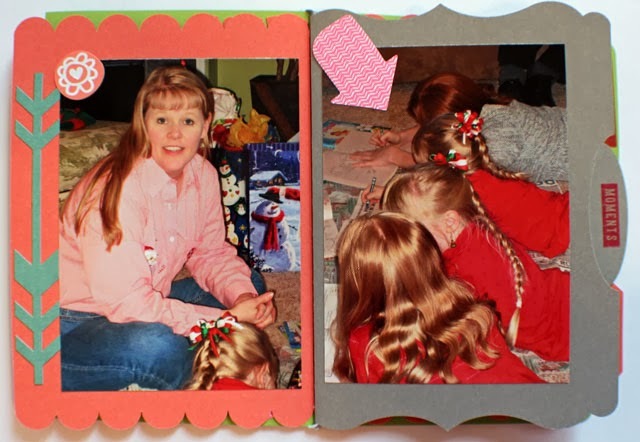 I decided to ignore the directions that came with the kit and create my own mini-album with some of the product and the photos of my nieces and great-nephew coloring during out Christmas get-together a few years ago. 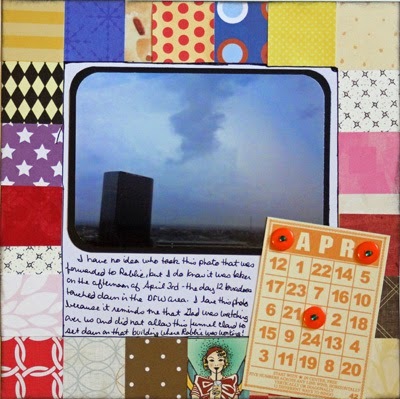 I've already scrapped a 12x12 layout for my 2010 chronological album, so I thought it would be fun to use these extra photos in a mini-album. 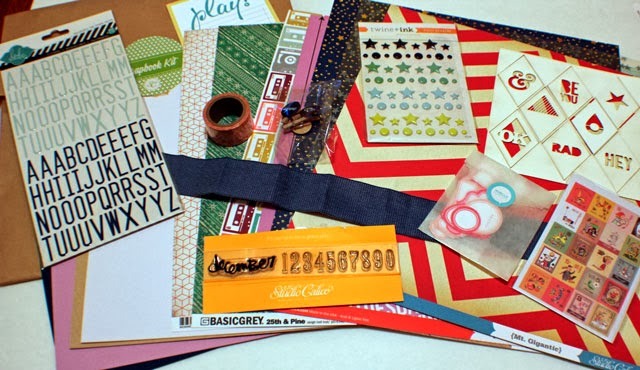 I added a few Kaiser Craft letter stickers for my album title and some Amy Tangerine word stickers throughout the album, but all the other items came with the Close To My Heart kit. Here's what I came up with. I had a bunch of the kit items left over, as you can see in this photo with the original mini-album directions in the background. 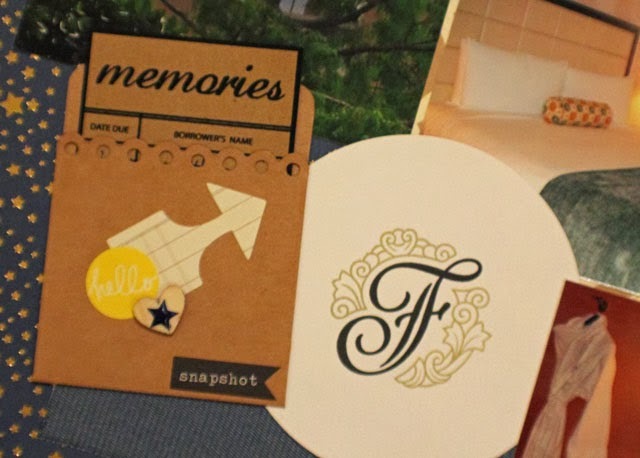 I'll be adding these extra bits & pieces to my stash to use on future cards and layouts. Do you use Close To My Heart products? Are any of you consultants for them? I hear their convention later this year is going to be at the Disneyland Resort - how FUN! We are in week 3 of Cheryl's Frugal Still Life Photography class and this week's guest blogger, Barb Brookbanks, shared her set-up and photo using three objects. 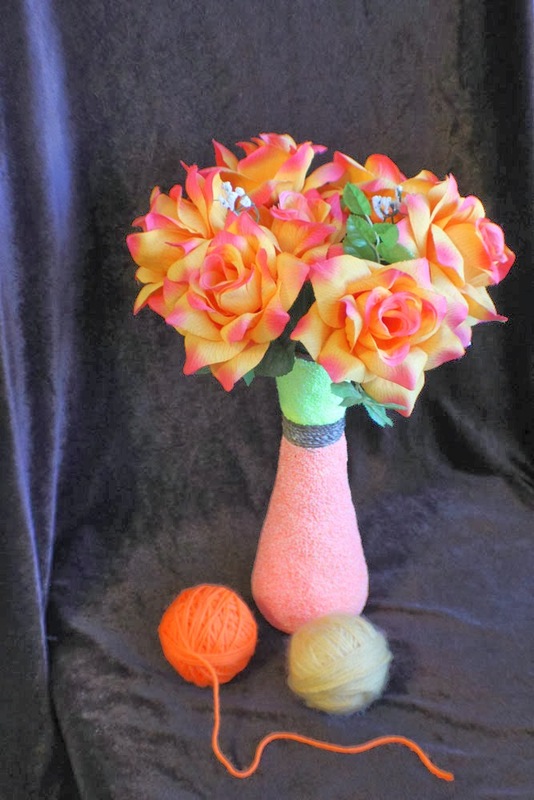 Cheryl encouraged us to try a still life with three objects. 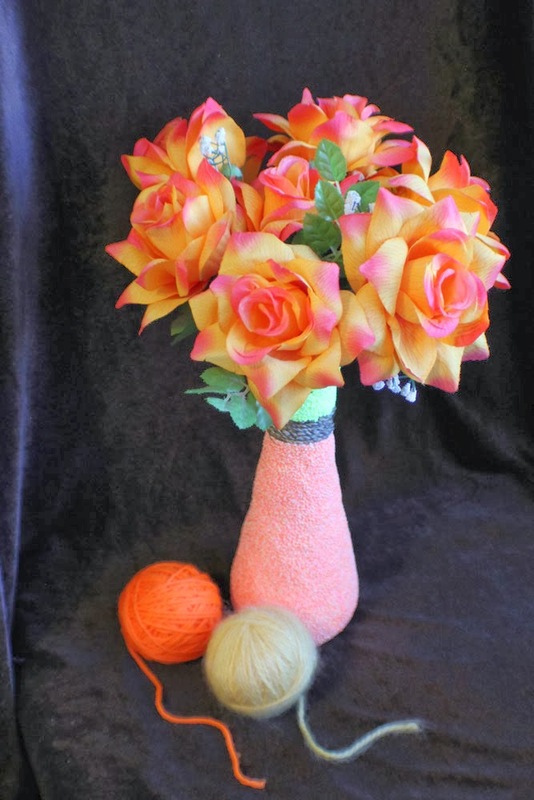 Taking inspiration from Barb's photo of a vase, some twine, and a pair of scissors, I chose a vase with fake flowers that Pun'kin Natashia made for me as a gift when I graduated with my master's degree. 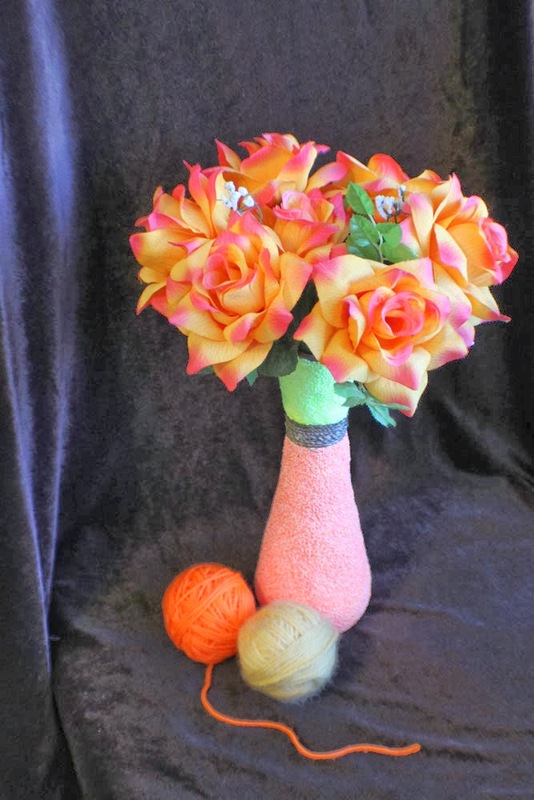 I looked around my craft room and chose two rolls of yarn to complement the vase & flowers. Here's a look at my photos straight out of the camera. 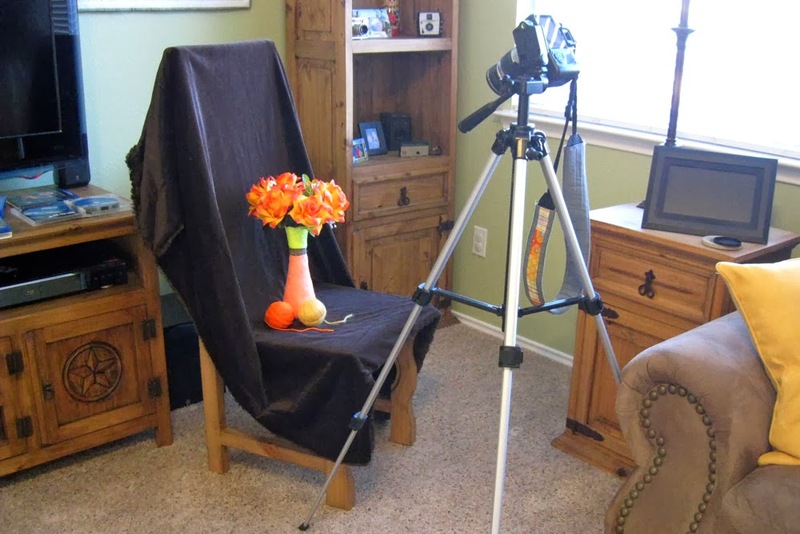 This week I used a chair with a throw over it as my backdrop and set up the tripod for my photo shoot. Here's a look at my set-up with light coming in from the window. The background throw is actually a very dark brown, so I pulled one of my photos into Photoshop Elements and played around with the levels, cropped it down, and added a quote. I'm enjoying this workshop and the inspiration to try some still life photos. I've also enjoyed seeing other interpretations of each week's prompts. 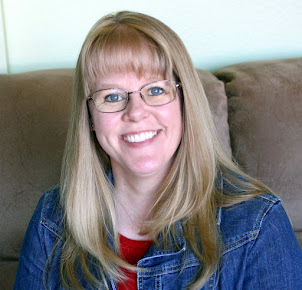 If you missed this class, Cheryl will be offering it as a self-paced class beginning March 1 - registration opens February 15 and there's a discount if you sign up before class starts. Click here for all the details. I really like the long title on this sketch and knew it would work for this photo I took of my sister and brother-in-law a few years ago. I have some new wood veneer pieces that I'm enjoying using - I backed the rectangle one with a piece of red cardstock so it would show up better. I really wanted to use and show off that heart paper, too, but it was only 6"x6". I ended up cutting it in half to make it look like a longer piece. I had lots of FUN with this sketch. Have you been inspired by any sketches lately? I've been feeling inspired by sketches again lately! Today's layout is based on the January Week One sketch over at Let's Get Sketchy. 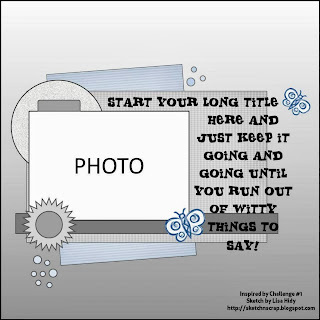 I liked the chevron underneath the photo & title, but rather than create my own, I used a piece of patterned paper with a chevron pattern. I started with a piece of sandable cardstock as my background and then followed the sketch pretty closely. 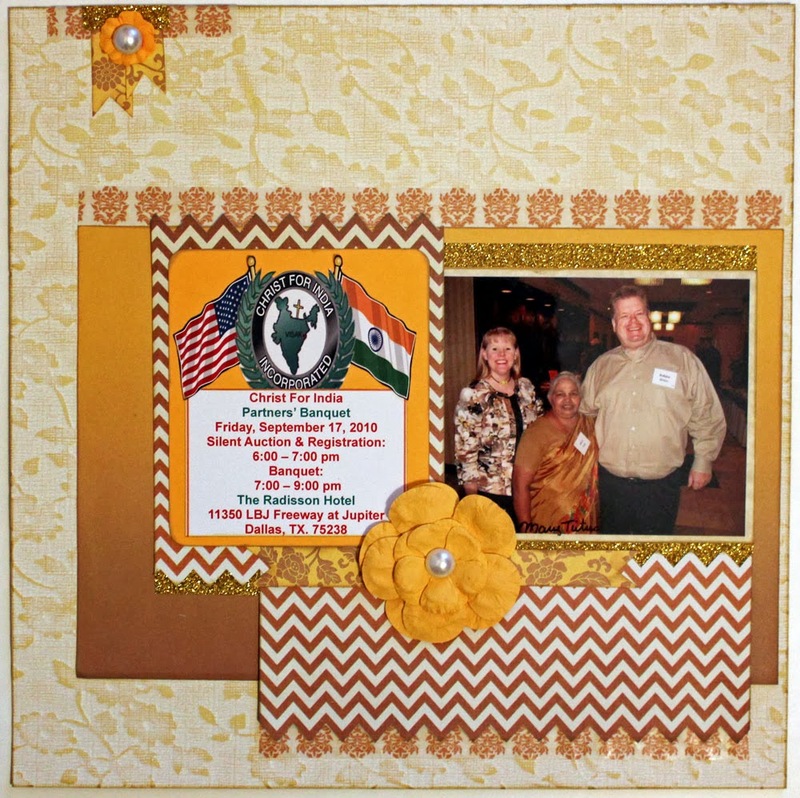 The title/journaling block pieces were cut from the invitation that I had saved in my Memorabilia File. The layout looked a little bare to me, so I added the cluster embellishment at the top to finish it off. What do you think? Does that little cluster add to the layout? Y'all aren't getting tired of seeing photos from my trip to California, are you? I hope not, because today I have a FUN pair for Helena's Zoom In/Zoom Out meme. 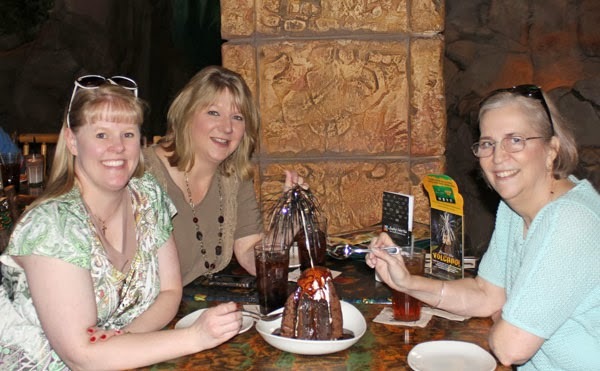 After checking into the hotel the day of my arrival, Amy, Blayne and I headed to Downtown Disney for lunch at the Rainforest Cafe. We all decided to do the most logical thing on this FUN trip - eat dessert FIRST! 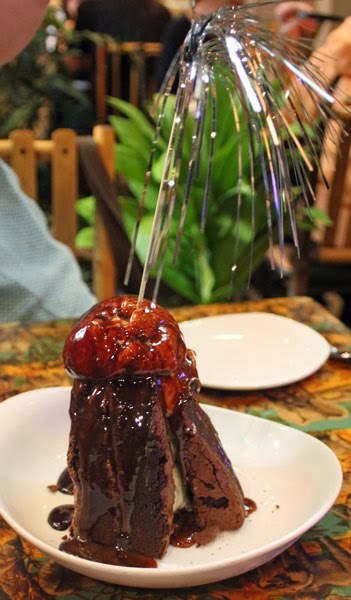 Yep, Sparkling Volcano Dessert was a great start to my first meal in California! Be sure to click over to Helena's to check out other Zoom In/Zoom Out photos.